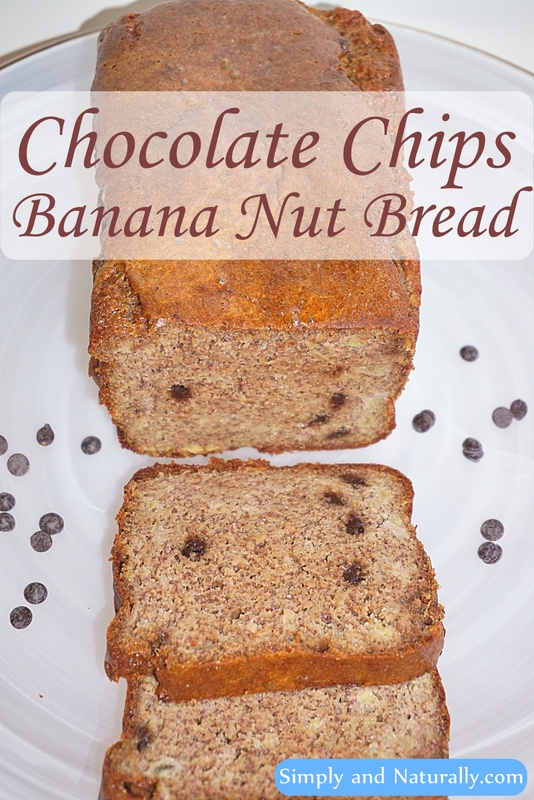 This chocolate chips banana nut bread is perfectly moist and delicious with loads of banana and almond butter flavor. It is very easy to make and kids love it! In a large mixing bowl add almond butter, bananas, eggs, maple syrup, vanilla and salt. Mix with a spoon or a hand held mixer until well combined. Add baking soda and place the vinegar over top of baking soda. It will fizz up. Mix it together. The batter will become lighter in texture. 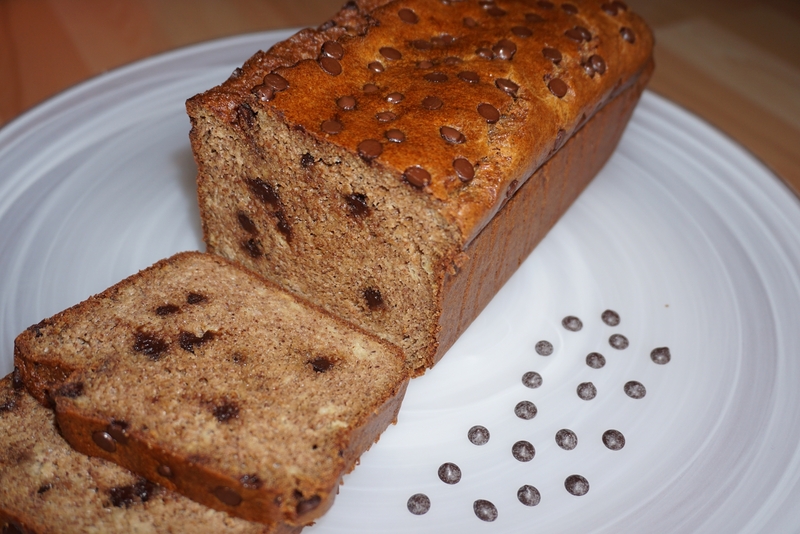 Grease a regular size loaf pan and pour the batter into it.